Get 2 FREE Franchise Reports Today! 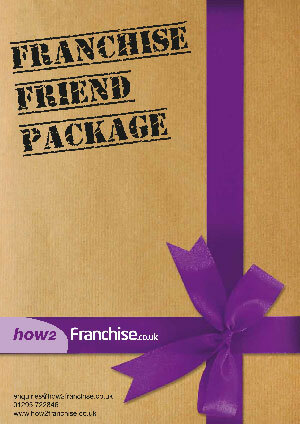 The How 2 Franchise Guide to Franchising. Absolutely Free. Download Now. If you want an overview of what franchising is all about, you’ve come to the right place. Download and read our free eBook. You will learn what is involved and why business owners like you franchise their existing businesses. You’ll learn what one thing, if you do it, will dramatically increase your franchise sales. You are a single click away from downloading our Free franchise report. Your guide through the complex and rewarding world of franchise. Expand your business without using your own money. Grow without managing more people. Make your cost back after one sale. Franchise fast – Usually within six weeks. Professional consulting saves thousands of pounds. Franchise Your Business – Why Is Franchising So Successful? Franchising is BIG business in the SME sector – according to a study carried out by the British Franchise Association there are around 1000 franchise opportunities available in the UK alone. Over half a million Brits are currently employed in franchised businesses and the sector generates over £14 billion in annual sales. Franchising is resilient to economic downturn – between 2008 and 2013, while the economic output of the UK fell by 2.5%, the revenues of franchises actually grew by 20%, showing that franchises are a lot more resistant to economic troubles than traditional businesses. A proven business model massively reduces the business failure rate – In fact, less than 5% of franchises fail due to a commercial failure, and over 90% are profitable. The banks like it! The banks have found that franchising is a good way for them to lend money into the small business market and most of the high street banks have specialist units whose remit is to lend money to franchisees making it easier to raise finance as a way into business. With these kinds of advantages it is easy to see why franchising has become a much more successful way of running a business. But what are the benefits to you, and to your business? We offer a free review of your business and would appreciate the opportunity to pop in for a coffee and informal chat about franchising. This would be of course without cost or obligation for you. If you would like to take advantage of this review then please call or email us back and we can arrange the appointment at a time and location which is convenient to you.